When it comes to purchasing a Distance Measuring Device, you really ought to take one onto the course to see if it lives up to all of the hype. 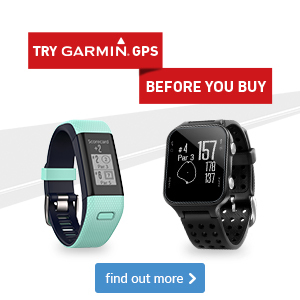 We stock a range of Garmin GPS products in-store, with demo units available for you to trial at your leisure. It's a great way to test out the front, middle and back yardages, distance to hazards as well as lots of other features that you might not be aware of. Well, our 18-hole 'try before you buy' promotion is the perfect way for you to find out! 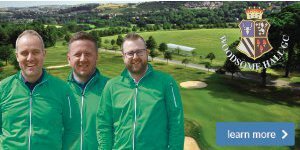 Free 18 hole trial available from Monday 10th September until Sunday 7th October 2018; subject to availablility. One free trial per customer. Professional staff reserve the right to decline a request for a free 18 hole trial. Professional staff may require a deposit or credit card allocation to cover for loss or damage to the device (At Professional staff's discretion and their word is final). 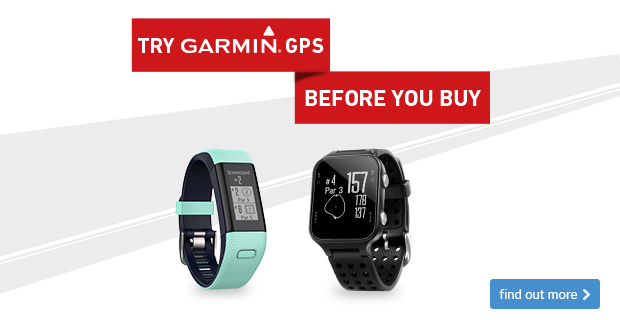 Devices available in the promotion are subject to change without prior notice.